While the kids waited for our families to all gather and the food to be laid out, they worked in teams, putting together some cute Christmas scenes to decorate each table. 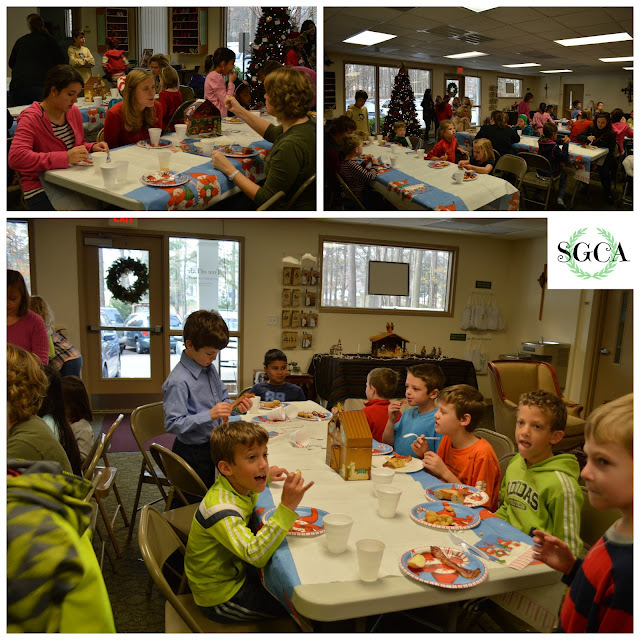 Our time of fellowship and giving thanks began around the table, as we feasted on breakfast fare that everyone brought in to share with one another. I loved our girls that spontaneously broke out into joyful caroling, gathering around a single instrument, as it played the familiar Christmastime tunes for all to rejoice in together. 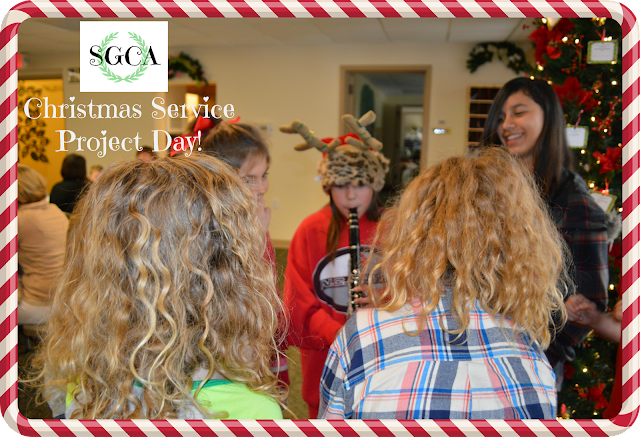 Our kids were then gathered together and each project station was explained to them and it's purpose. We had three serving stations for them to participate in today. 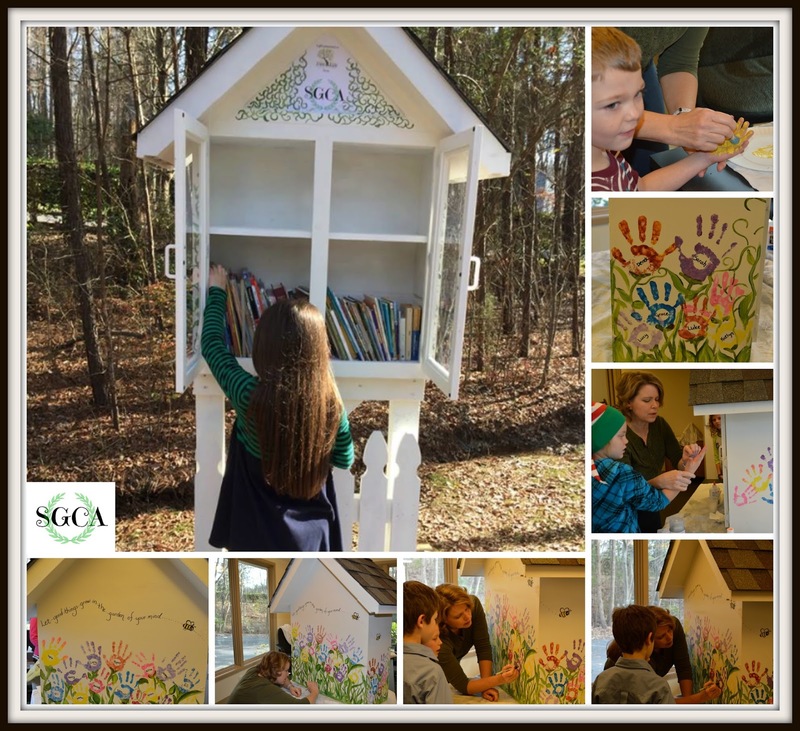 The first was the painting of our outdoor library as a gift to the Church, the second was stuffing teddy bears for missionaries in Egypt and the third, was making ornaments for the assisted living residents we serve monthly. My husband built an outdoor library as a gift to the Church we are currently partnered with. We wanted to show our deep appreciation for their support and contributions to our school year so far. This gift is for their children as well as ours, to share the gift of books with one another. Our clever fine arts academic mentor, came up with the idea of using our children's hand prints to become flowers for a scene to decorate the library. We placed it out in the garden at the Church and filled it with many books as a start. 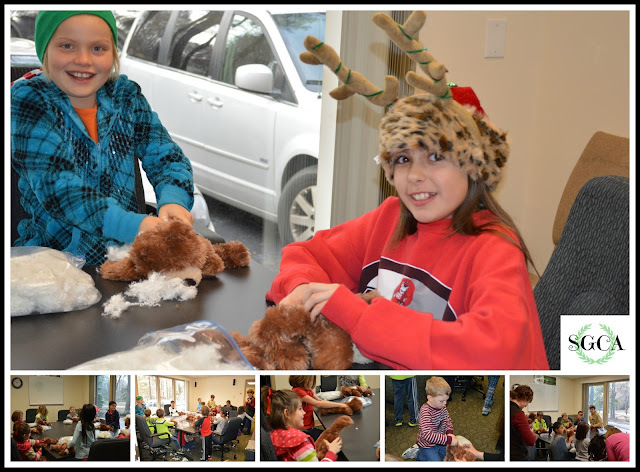 Our second service project was making ornaments for the residents we serve at Woodland Terrace each month. We delivered them the following day with Christmas caroling. It brought hope and love to each of the residents there. 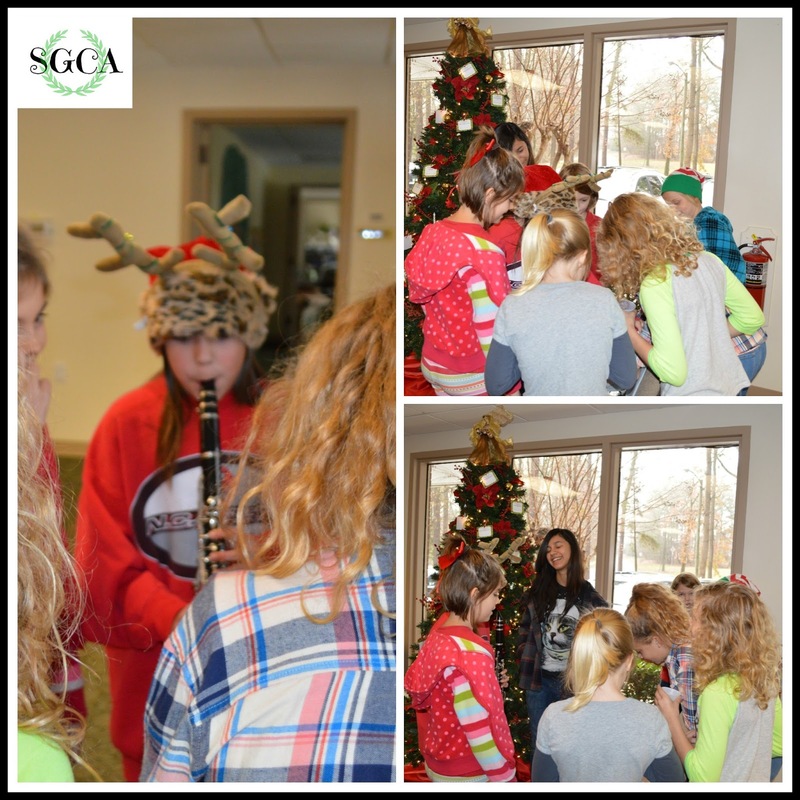 Their faces lit up as the kids sang and handed out the ornaments to them. To end our time, the kids played a game of manger match. I read a bible verse card and they were each given a different manger character or a character card with a name on it, and they had to match the character I was referring to, with the correct card and wooden manger scene piece. 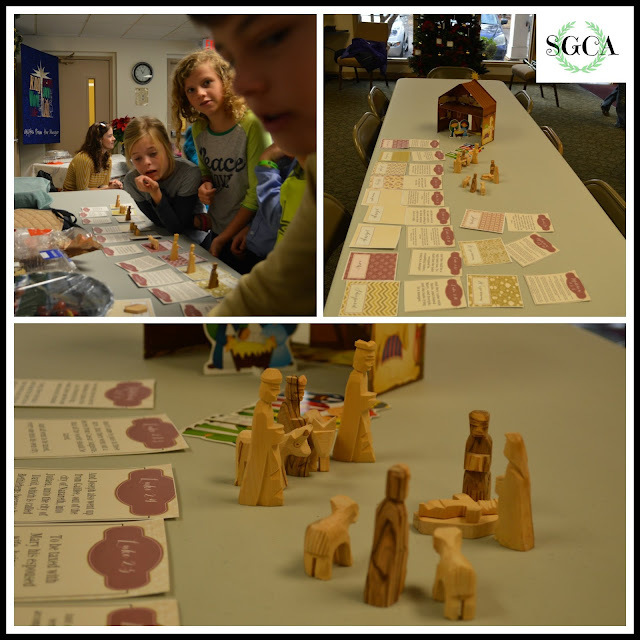 In the end, they built the manger scene with all the matching cards/verses. May each of you have a very blessed Christmas! I am glad that kids had fun time, as Christmas is all about this. Anyway, I am also organizing a party at Chicago event space and will love to steal some ideas from your event as I found them really impressive.